A group of runners from North Wales has set a new fastest time for the Offa’s Dyke Path. Four challengers took part in the epic ultra-marathon – Jason Harper, 47 from Valley (Anglesey), Nia Albiston, 40 from Amlwch (Anglesey), Gordon Hughes, 37 from Llanaelhaearn (Gwynedd) and Laurent Gorce, 43 from Abererch, Pwllheli (Gwynedd). Two of the runners in the team had to pull out of the challenge part-way due to injury (Laurent Gorce and Jason Harper) but the other runners in the team, Nia Albiston and Gordon Hughes, completed the 177-mile challenge in a stunning 63 hours 1 minute – beating the previous time by 1 hour 9 minutes. The team had set out on their challenge in order to help raise funds for Wales Air Ambulance. They had been supported by family and friends as well as companies including Welsh snack brand Wild Trail, based in Tywyn (Gwynedd) and with offices in Monmouth, which fuelled the runners with its natural energy bars. Other sponsors included FenixLight, Spike-Free Fuel, LightUpU, Sturdy By Design, Revvies Energy Strip. 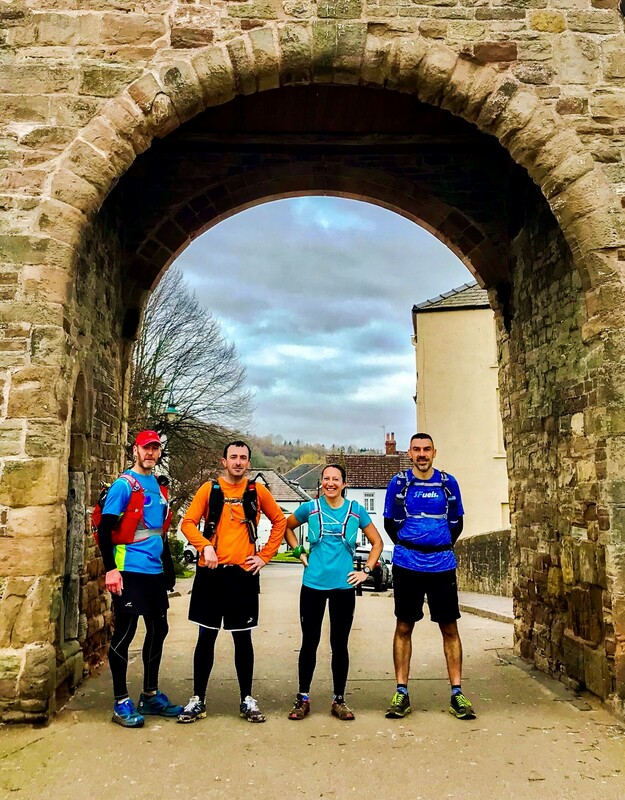 The four runners started at the south point of the Offa’s Dyke Path near Chepstow in the early morning of Friday 22 March, setting out to run 177 miles to reach the finish point in Prestatyn on Sunday 24 March. Jason Harper was forced to retire from the challenge on 62 miles due to sickness, whilst Laurent Gorce was then forced to abandon his attempt on 73 miles due to an ankle injury. However, showing true team spirit, both Laurent and Jason managed to stay on as part of the support team in order to assist the remaining runners, Nia Albiston and Gordon Hughes, to the very end. It was late on Sunday evening (24 March), in the wind and rain, that Nia and Gordon reached the finish point in Prestatyn in their recorded time of 63 hours and 1 minute. Their time beat the previous fastest known time of 64 hours 10 minutes which had been set by Michael Wood in July 2012. The runners had only stopped along the 177-mile route twice for short sleep stops as their strategy had been to give themselves as much running time as possible. For details on Wild Trail visit www.wildtrail.co.uk or @wildtrailsnacks on Facebook, Twitter or Instagram.